As the nostalgia boom continues unabated, there is nothing as cool or fashionable as retro. Whether it’s cars, coffee bars, fashion, art or architecture, we just can’t help falling for the timeless appeal of the classic icons of bygone days. 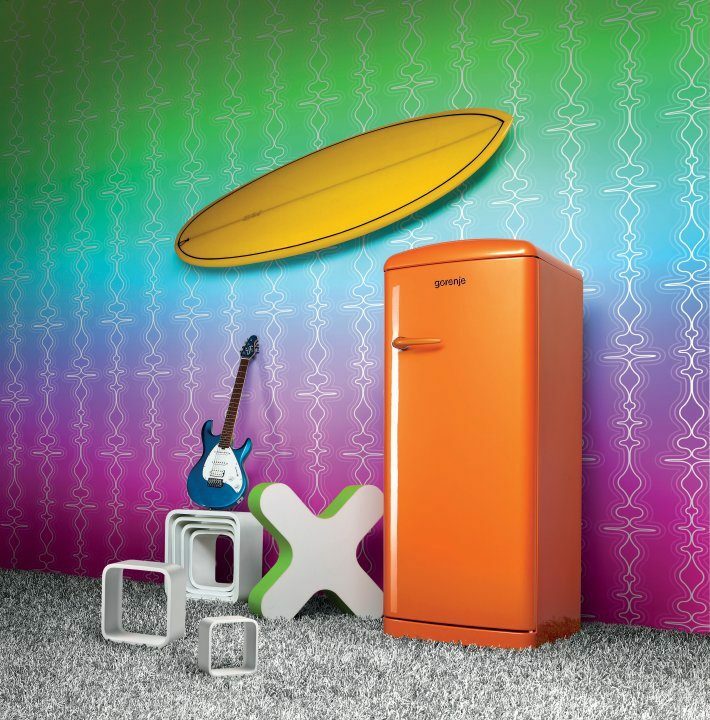 The retro look has been brightening up our kitchens for some time, and now top quality manufacturer Gorenje has expanded its classic collection of refrigeration appliances with an even greater choice of exciting models and vibrant colours. The stunning models now extend to three specific ranges, Chic, Vintage and Funky, and create the perfect mix of old-time style with the very latest cooling technology. 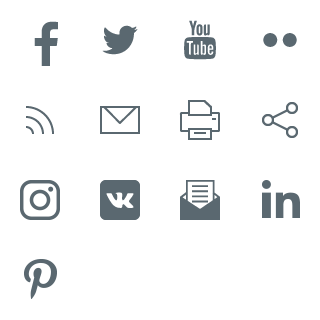 Each range features select colours and various combinations of the refrigerator and freezer compartment. 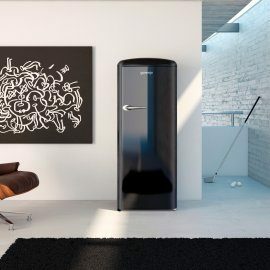 These comprise of the iconic single door refrigerators (models RB 6288) and the two-door combined fridge freezers with the freezing compartment below the refrigerator (models RK 62358). Both models boast ‘A+’ energy class status. Then there are the two-door top mount refrigerators with the freezer above (models RF 62308), which are an incredible, eco-friendly ‘A++’ rated. These exciting and classy appliances address those customers with a refined taste who dare to introduce their own lifestyle into the kitchen. 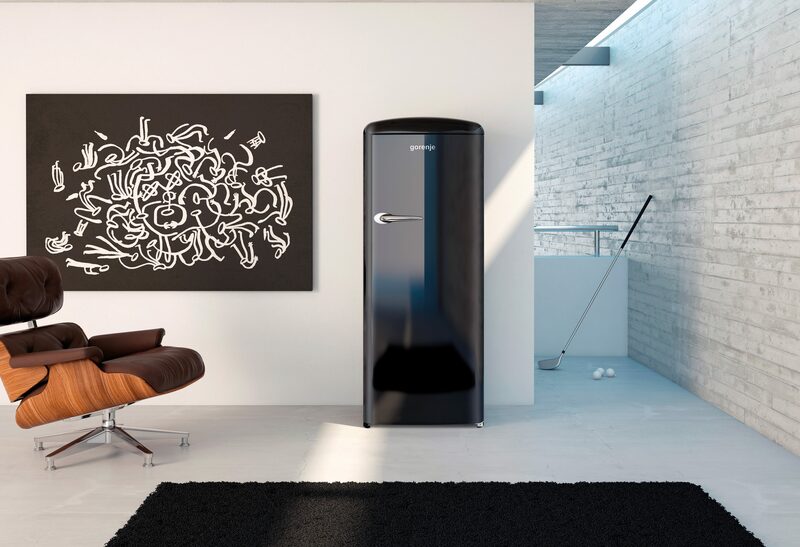 Gorenje’s Retro Chic collection will appeal above all to those who appreciate modern classics, tasteful minimalism and who contend that ‘less is more’. These fridge freezers represent simple elegance where nothing is redundant and are available in elegant hues of Bordeaux, Cream and Black. The sober tones of the Gorenje Retro Vintage collection are designed to intrigue the nostalgic romantics who love natural colours, classic arts and appreciate new images with a seasoned character. 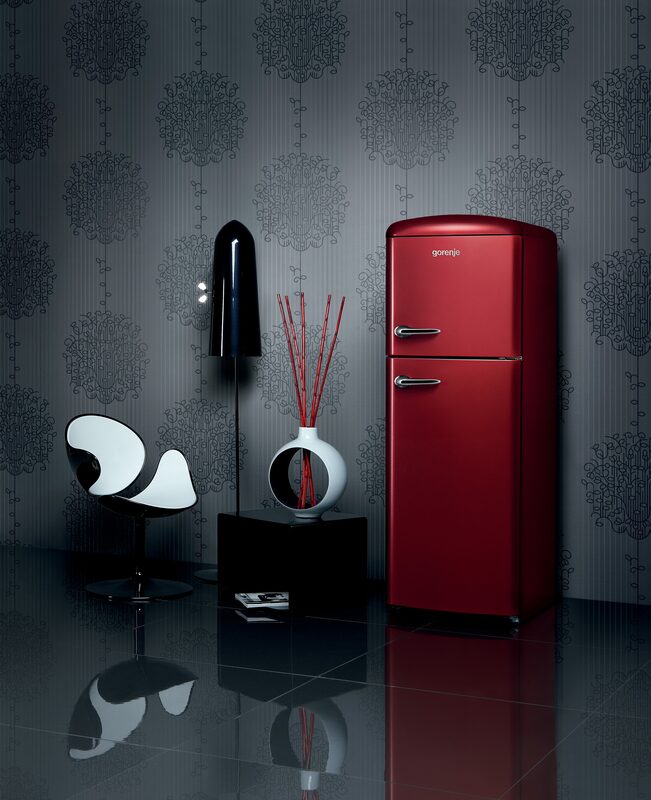 These alluring fridge freezers are fashioned in the prestigious colours of Dark Chocolate, Royal Coffee and Champagne. 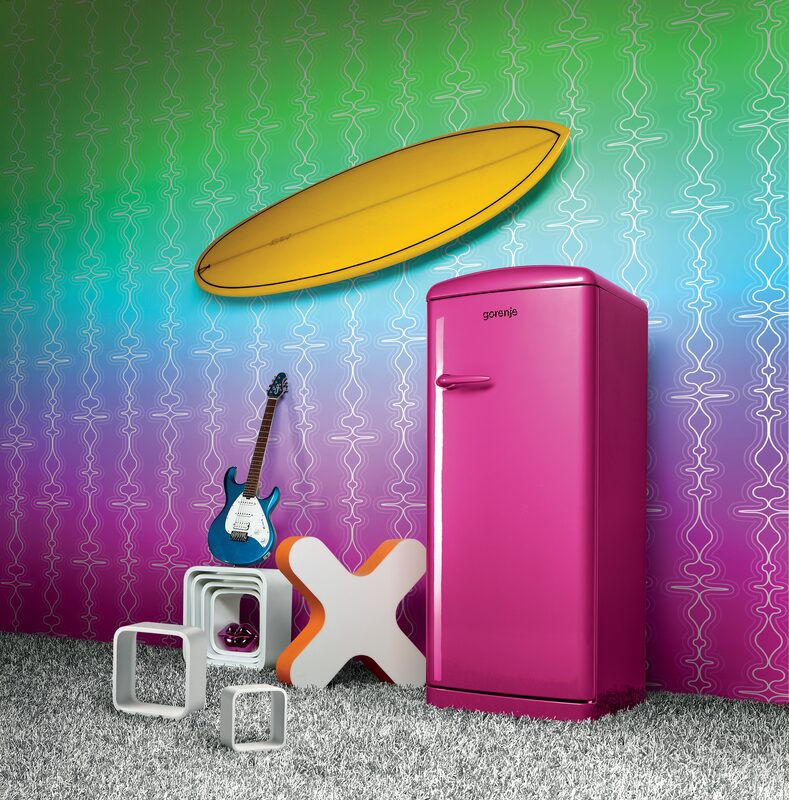 For those free spirits and adrenaline lovers who just want to have fun, Gorenje’s Retro Funky collection will really hit the sweet spot. 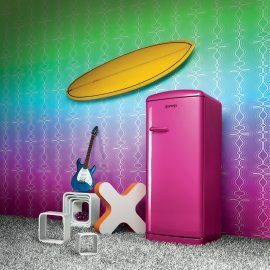 These fridge freezers are styled in bright and lusty hues of Lime Green, Raspberry Pink and Juicy Orange. The mood of playfulness is complemented by a range of handles available either in the timeless and fashionable chrome version, or in the colour of the chosen fridge exterior. 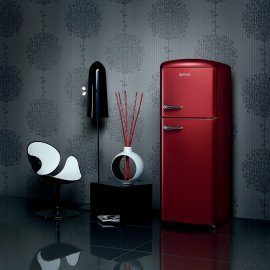 Ruth Ferguson, Marketing Manager, Gorenje UK, says: “There is something undeniably magical about the classic styles of bygone days. The enduring appeal of Art Deco and of course the cars and home appliances of the so-called Fabulous Fifties are prime examples of timeless fashion." “Our Retro Collection represents a special and iconic part of our overall portfolio of kitchen appliances, with three special ranges to suit all tastes and moods. These fridge freezers have been specially and thoughtfully designed to bring people’s old favourites up to date, with all the classic looks of yesteryear combined with today’s great cooling technology." “A genuine case of back to the future!"